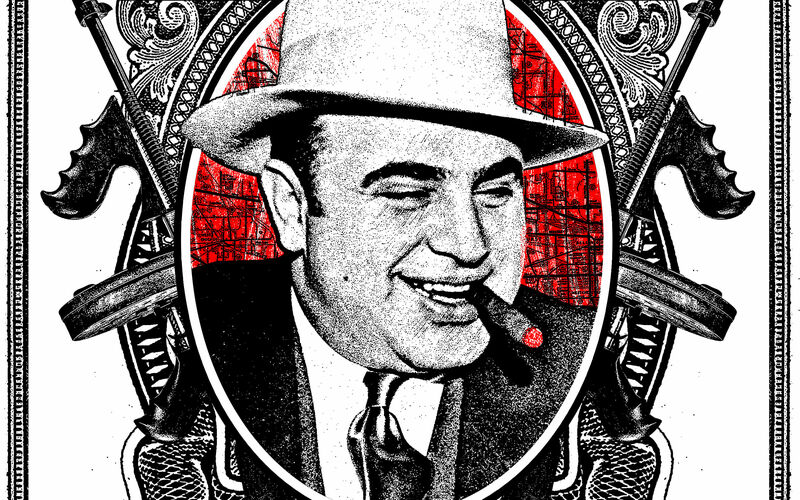 Matt Dye of Blunt Graffix, and Zissou Tasseff-Elenkoff of Fugscreens, would like to invite you to participate in Loaded Guns II, a gangster themed art show! 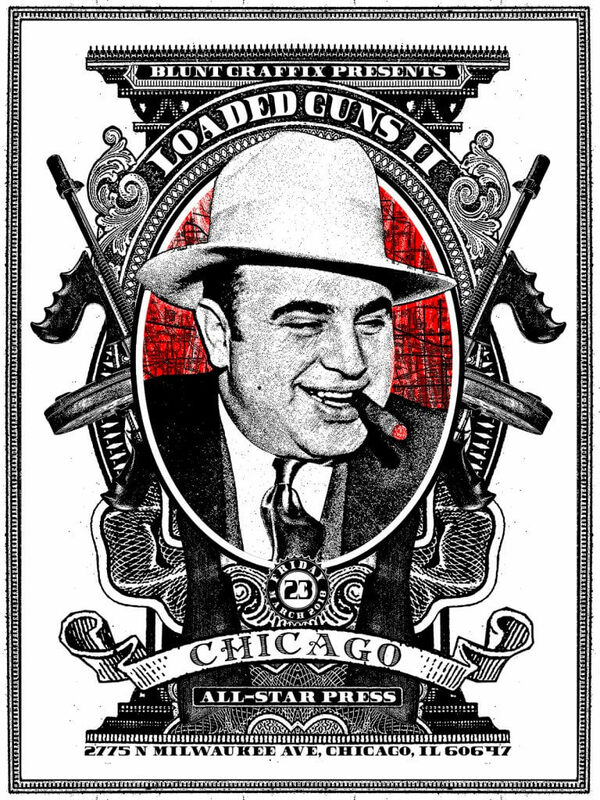 It’s been 5 years since the original Loaded Guns show in 2013 and the highly anticipated sequel, Loaded Guns II, will be held at the new All Star Press in Logan Square,at the heart of the art district in Chicago! From gangs to gangsters, Japanese Yakuza to Italian mobsters, inspired by film, fiction or fact, get ready for a print show like no other! Debuting to the public Friday March 23rd, 2018 6PM -10PM.